Stewart said he's been to doctors about this problem but they usually dismiss it as part of the aging process. “You get to an age where you go to the doctor, you tell him how old you are and he just shrugs his shoulders and says, ‘Oh, is that it?’” Stewart continued. Arthritis among senior citizens is an extremely common and painful chronic degenerative joint disease. But, fortunately, cannabis has a long history of use for treating pain associated with rheumatoid arthritis. Yet doctors are still dragging their feet. Unfortunately, few physicians have delved into the available research on its effectiveness. When Stewart, who lives in New York, was asked what he did when he was in the United Kingdom where medical cannabis is illegal, he was blunt but diplomatic. “I can't answer that question,” he said. Stewart, who was knighted by Queen Elizabeth II 2010 for his contributions to drama, has been a longtime advocate for victims of domestic violence, having grown up with an abusive father. 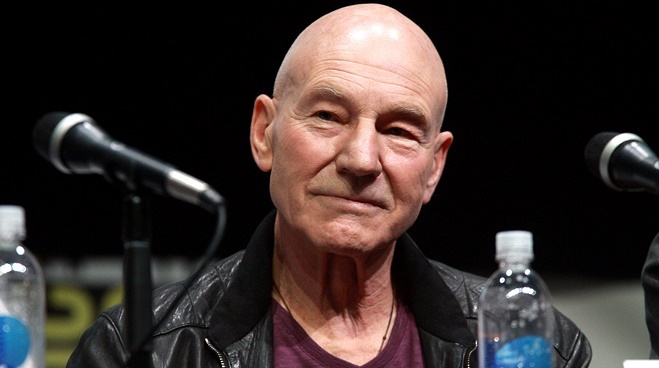 Now, we can also claim Sir Patrick as an advocate for medical cannabis—and living proof that it works. Sir Patrick Stewart will be playing an older version of X-Men founder Charles Xavier in the next Wolverine installment, Logan, which is opens on Friday, March 3. This is the 10th installment of the X-men series.